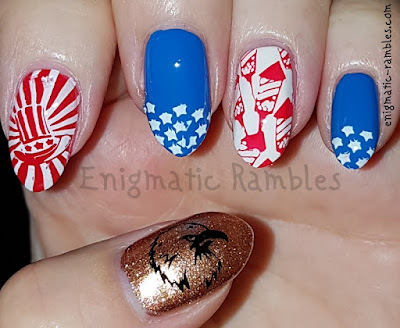 Forth of July Nails - I was surprised that is was so popular considering I'm from the UK and don't celebrate 4th of July. 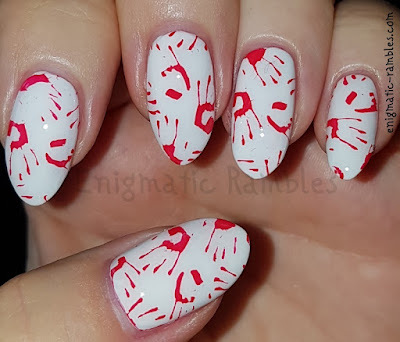 Bloody Hand Nails - I liked these nails, the hand prints showed up so well against the white background. 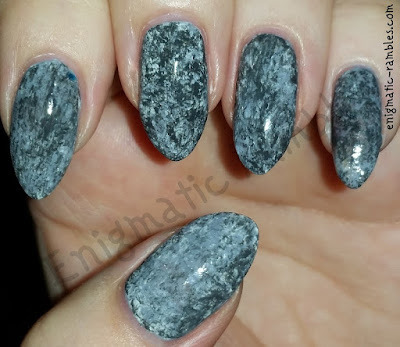 Grey Marble Nails - Another one I liked, although I think this would had made a great background for nail art. 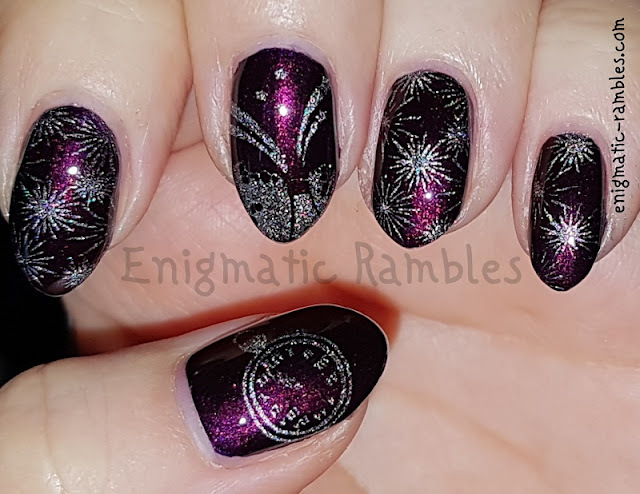 Maybe I did use this for a base and it didn't make the top five? 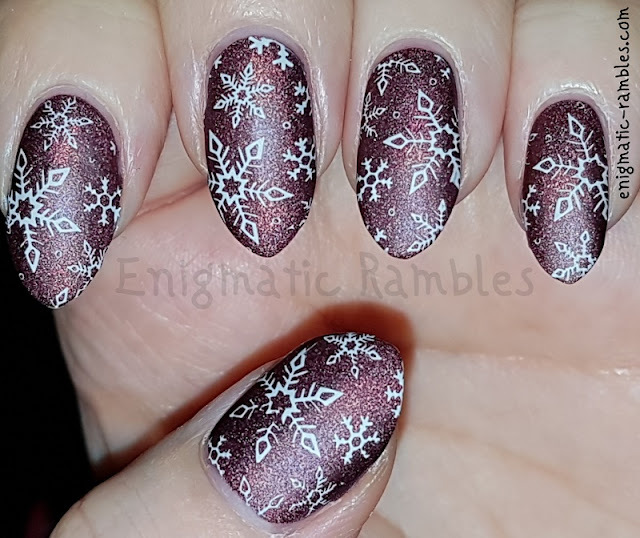 Winter Fox Nails - These were a surprise, I had forgotten I'd done them! 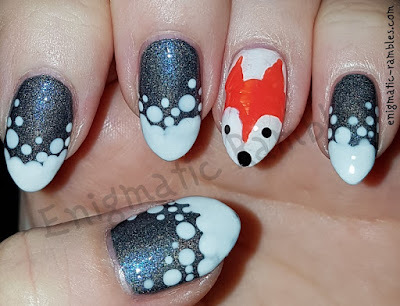 The French tip snow gradient looks nice and the fox is cute too. Defiantly think I need to wear the snow gradient again. 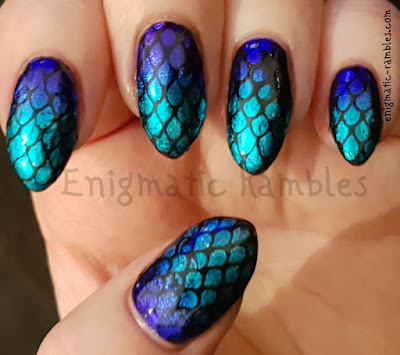 Scale Nails - I didn't like how the base turned out on these, they were a foil which was a bit patchy however with the stamping on top I think they look nice. 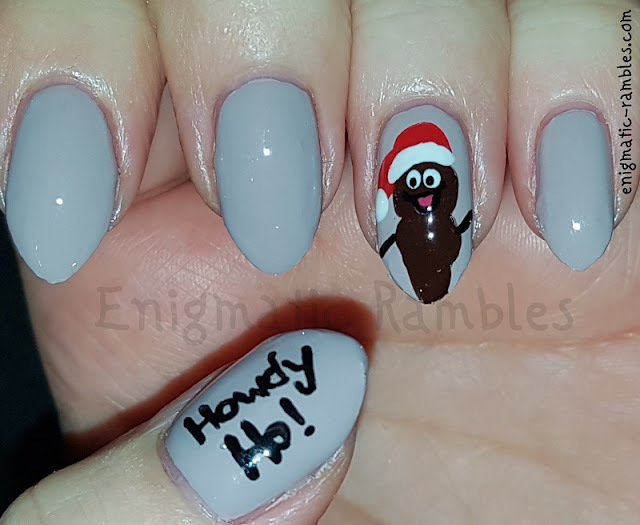 Many years ago I did South Park nails, here is a updated version, which is a lot better than my 2010 attempt! 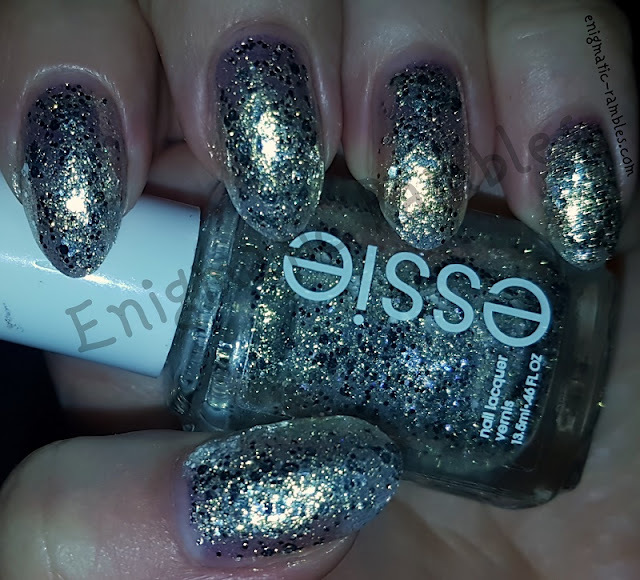 Squeeze and tween your festive buns"
So the top three were A England's Briarwood, Danglefoot Polish Oh Plesiosaur and A England Moth A Fairy. 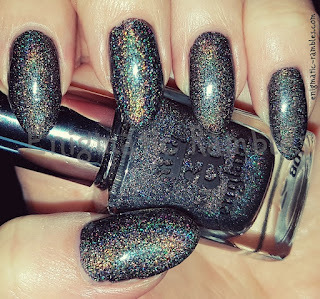 A England - Moth A Fairy was the first polish to be eliminated, because it was the lightest of the three and I do prefer darker polishes. 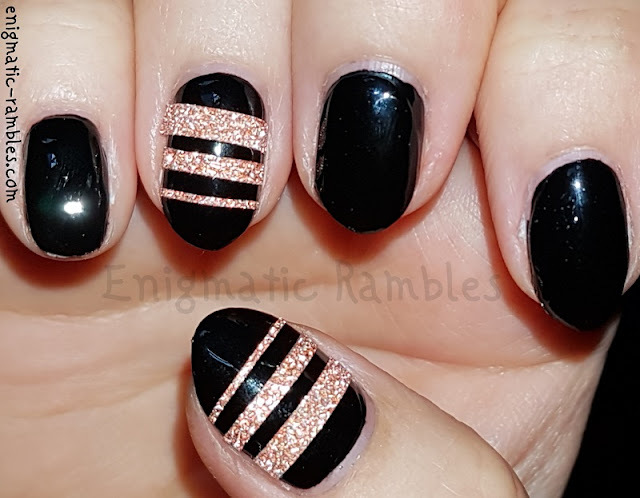 The next two were very difficult to chose between. 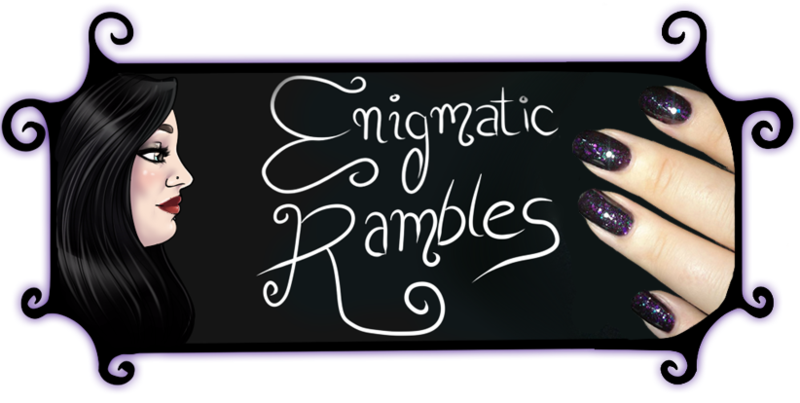 I do love both of the polishes, but I chose Danglefoot Oh Plesiosaur for second place because of what I have been wearing the most recently. 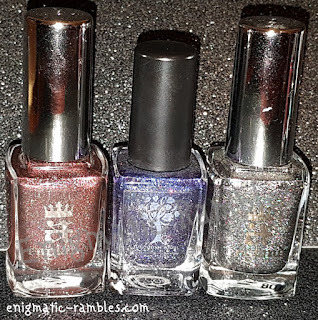 Which of course means A England - Briarwood is the winner of my nail polish battle 2018. 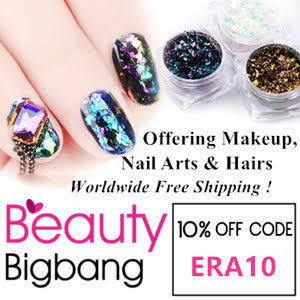 I chose this one because it really has been one I have been wearing a lot of recently. I even wore it as is which is rare for me. 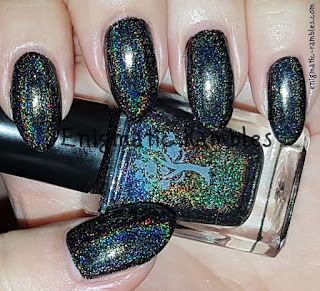 It's the perfect autumnal holographic polish. 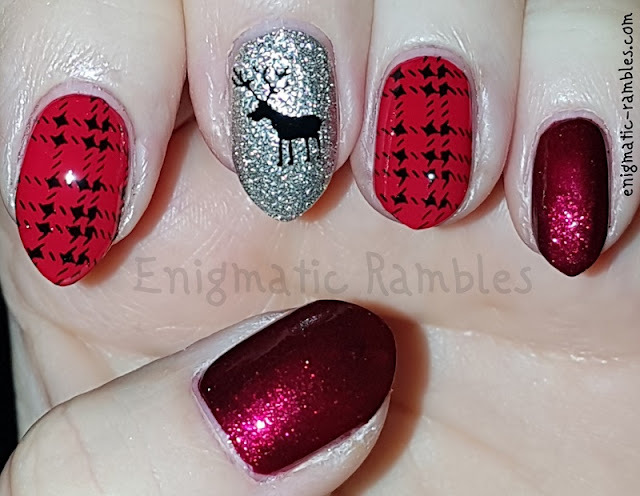 Some seasonal tartan and stag head nails inspired by badgirlnails on Instagram. 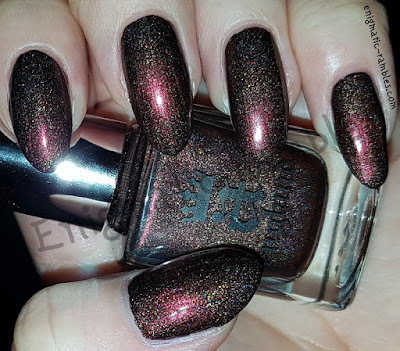 Cream Red Polish | OPI - Adam Said "It's New Year's, Eve"